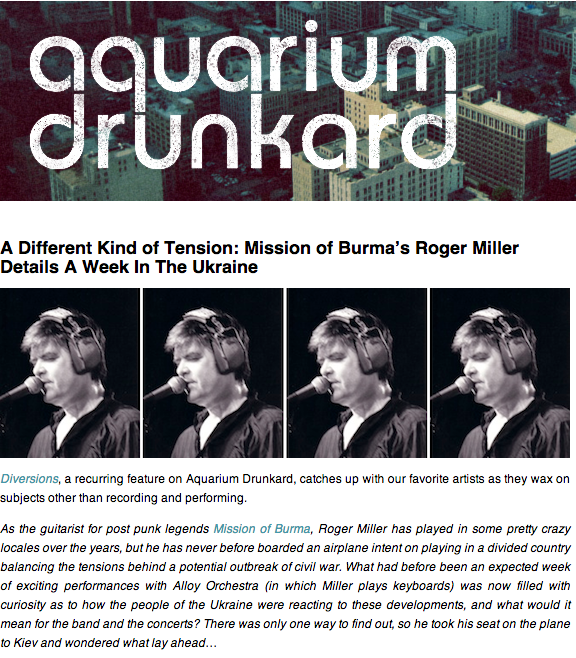 A few weeks ago, Aquarium Drunkard posted Part 1 of “A Different Kind of Tension” – a journal that details Roger’s recent trip to Ukraine. Part 2 of that story is up on the site today. 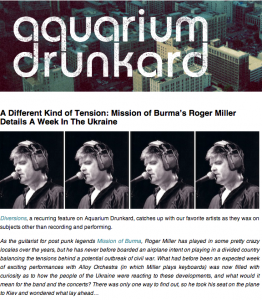 Mission of Burma’s Roger Miller recently made a trip to the Ukraine and teamed up with Aquarium Drunkard to bring you a firsthand look of his week there as part of the site’s ”Diversions” featured series. Read the full article here: http://bit.ly/1rdGvQD. Mission of Burma at Bumbershoot 2014! Mission of Burma play Bumbershoot 2014. 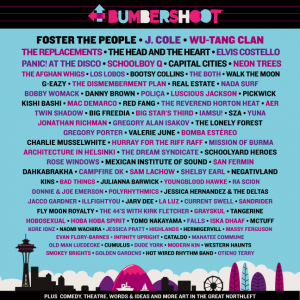 Full lineup and more info here: bumbershoot.org. The Huffington Post Names “Not A Photograph: The Mission of Burma Story” one of the 18 Documentaries You Need To Watch on Hulu Right Now! Pre-sale tickets go on sale tomorrow at 10 AM PST via http://missionofburma.tix.musictoday.com/. The public sale launches Friday, April 25, at 10 AM PST through the ticket links above. 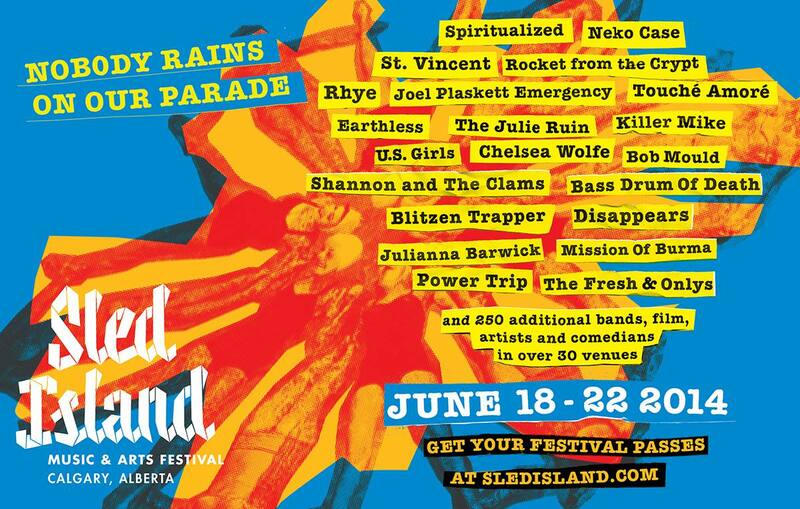 Mission of Burma will be playing at the Sled Island Festival in Calgary, Alberta, Canada! 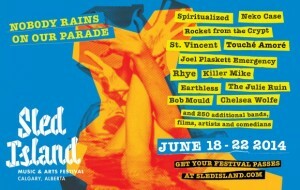 For more information and to see the whole lineup visit: http://sledisland.com. 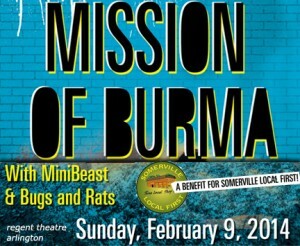 Mission of Burma plays first annual Somerville Local First benefit show on Feb 9! 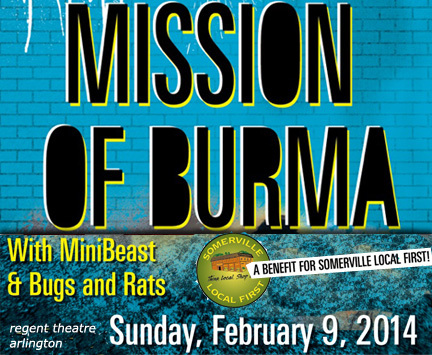 Excited to announce Mission of Burma will play the first annual Somerville Local First benefit show at The Regent Theatre in Arlington, MA on Sunday, February 9! Also playing is Minibeast, featuring Peter Prescott, and Bugs and Rats. Mission of Burma’s performance at the Regent Theatre kicks off the first annual benefit show for Somerville Local First, a non-profit organization committed to supporting a diverse economy in Somerville, Massachusetts that is local sustainable and fair. Funds raised from this concert will help support Somerville Local First’s efforts to help launch and nurture the development of independent businesses in the city. For more details on the benefit show and Somerville Local First, click here. Tickets for the benefit range from $22-$27 and can be purchased through the Regent Theatre Arlington online or at their box office (located at 7 Medford Street in Arlington, MA). Doors are at 7pm, show starts at 7:30pm. February 6th, 2014 @ Spaceland Ballroom (Hamden, CT): PRE-SALE Link here until Friday 12/13..
Two new shows announced on Feb 7th at The Bell House (Brooklyn) and Feb 8th at The First Unitarian Church (Philly). The band plays a short string of days beginning TONIGHT at Altar Bar in Pittsburgh. Dates below, leading up to RIOT FEST CHICAGO on Sunday, September 15th!